Alone, this law may not directly change much; it should go hand in hand with the support of more institutional and legal framework aimed at providing women with space and time to pursue their education and general development free of external pressures. The number of people under 16 getting married in Spain is minimal. 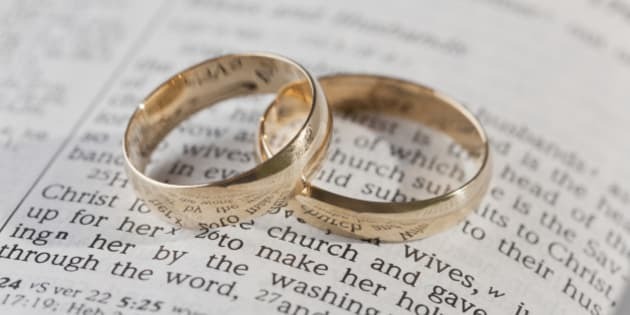 Having said that, this year's modification of the Spanish civil code, which raised the legal minimum age for marriage from 14 to 16, is not in vain. Besides directly addressing specific grave practices such as forced marriage, the modified law carries a strong symbolic nature that defends the right and the importance of childhood and teenage development. In a climate where the average age for Spanish men and women to get married was 34 and 32 in 2013 (Spain's National Institute of Statistics, "INE"), the number of registered marital unions with at least one member being under 16 in Spain is, actually, very low. According to INE, of the more than 28,000 people who married under 16 in Spain since 1975, only 365 of these were married after 2000. Considering this relatively low number, one can appreciate the change brought through by this law as largely symbolic. Sadly yet unsurprisingly, there is often a gender imbalance when underage marriages are involved; as Gabriel González-Bueno of Unicef Spain states, "the girls [are] more likely to be younger than the boys," furthermore, "these marriages, particularly in the case of young girls, often lead to an interruption of their studies." For me, this change in the law works as part of a force; it shows there is a growing understanding of the importance of a teenager's freedom to a healthy development. It also shows the importance being placed on teenagers having a conscious say when it comes to decision-making processes that affect their life, future, and wellbeing. Alone, this law may not directly change much; it should go hand in hand with the support of more institutional and legal framework aimed at providing women with space and time to pursue their education and general development free of external pressures. It is laws such as the one in question that work towards helping women realize that if they wish, they may have aspirations beyond those placed on them; these may involve getting married, participating actively within the labour force, or both (I stress that these two options can go together!). The ideal I am describing, in any case, involves a conscious decision taken by a woman who has the tools to understand her position as an active agent in society. Finally, I would like to add that the case of women being led to interrupt their studies is, naturally, not only the case for girls under 16; this happens in many more scenarios. Lawmakers and enforcers need to work on tackling the reasons for which women of all ages are led to interrupt their studies and life. Working hand in hand, these laws would constitute a movement that would positively affect female labour force participation and, actually, all forms of female participation. This would be done by guiding women to understand that this participation is possible and by guiding them to find their own way to interact with the many possible spheres of female participation. By Amalia Robinson, delegate representing Spain at the G(irls)20 Summit 2015 in Istanbul, Turkey.